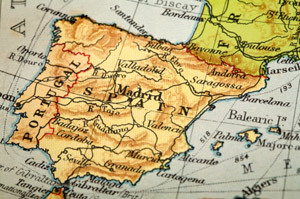 Spanish for holidays, relocating abroad or for leisure. Spanish GCSE, A-level, degree or professional exam preparation. Our personalised and friendly approach is the key to learning Spanish successfully. Before lessons begin we will discuss informally with you, your current level, your goals and your preferred learning style so that we can tailor the lessons to your exact needs. Choose from one-to-one lessons or small group tuition with friends, family or colleagues. We offer 1 hour lessons, 1.5 hour lessons, 2-hour sessions and intensive day courses. Learn face-to-face or online via Skype or by telephone. See Online Learning. Book one-off lessons, weekly or fortnightly lessons or an intensive course. Our lessons are affordable. We offer learning options to suit all budgets, including more economical online tuition and e-learning. Contact us to discuss the most suitable option for you. Contact us to discuss your requirements to arrange corporate training courses, group tuition or intensive course prices and we will get back to you as soon as possible with an individual quote. A travel charge may apply if considerable distance is involved. Money-back guarantee – we are so confident that you will be happy with our service that if after 3 lessons you are not entirely satisfied with the tuition you have received, you may claim your money back. MP3 tracks of essential phrases. Handy, bite-size cards with key phrases for everyday situations. Grammar cards featuring the main tenses. MP3 tracks of classic fairy stories in Spanish and English. Recommended Spanish Resources: Follow our advice to find the most popular Spanish books, CDs, dictionaries and children’s Spanish resources available today to help all levels of learners. Contact us for a free no obligation consultation or to book a Spanish lesson call (01733) 573467 / 07870 699404. 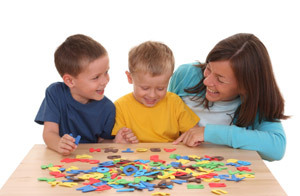 VLS Spanish tuition is based in Peterborough and covers the surrounding area, providing Spanish lessons for all ages ranging from 3 year olds to GCSE, A-level and degree level students to mature learners.